Mitt Romney has been saying that under his tax plan, high-income households would continue to pay the same share of taxes as they pay today. 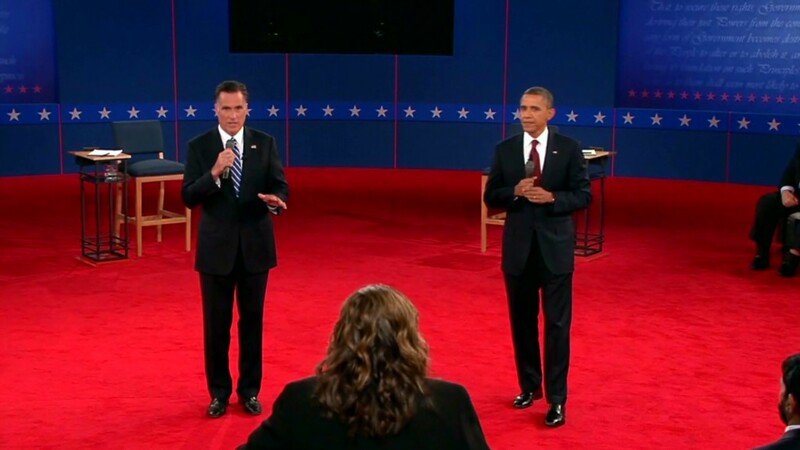 During Tuesday night's town hall debate with President Obama, he got more specific. "The top 5% of taxpayers will continue to pay 60% of the income tax the nation collects. So that'll stay the same," Romney said. Who is in the top 5%? This year, the top 5% of households have at least $181,000 in adjusted gross income, according to estimates from the Tax Policy Center. By 2014, that number is projected to rise to $200,000. As a group, the top 5% will pay about 57% of all federal income taxes this year. Note that Romney's promise to freeze the share of taxes paid by the rich is not necessarily the same as saying the tax bills of some high-income filers wouldn't go down. As with any tax reform proposal, some members of an income group would pay more and some would pay less. Under Romney's plan, the top 5% of households -- and every other household -- would have their income tax rates cut by 20%. His plan would also repeal the Alternative Minimum Tax and the estate tax. Finally, it would make investment income tax free for those earning less than $100,000 ($200,000 if married). Romney on Tuesday night also reiterated that he would pay for all of his tax cuts, estimated to cost $5 trillion over a decade. "I'm going to limit deductions and exemptions and credits, particularly for people at the high end, because I am not going to have people at the high end pay less than they're paying now," he said. One way he might do so is to cap how much a tax filer can claim in various tax breaks, he has said. Earlier this month, when Romney mentioned the idea of a cap, he was talking about itemized deductions. His campaign told CNNMoney that such a cap would be adopted in conjunction with curbs on other tax breaks -- namely, personal exemptions and the tax-free benefit workers receive when their employers help pay for their health insurance. At Tuesday's debate, his comments suggested the cap might apply to a broader swath of breaks, including tax credits. "I'll pick a number -- $25,000 of deductions and credits, and you can decide which ones to use," Romney said. "Your home mortgage interest deduction, charity, child tax credit, and so forth; you can use those as part of filling that bucket ... of deductions." Indeed, he's been offering a lot of options that could pay for his tax cuts. "The governor has described other approaches as well, and he will work with Congress to negotiate tax reform to ensure his goals are met," a Romney campaign spokesperson said after the debate. A cap of $25,000 might significantly curtail the tax savings enjoyed by many in the top 5%. Most households in that income group took an average of $43,208 in itemized deductions alone last year, while those in the top 1% took an average of $173,670, according to Tax Policy Center estimates.